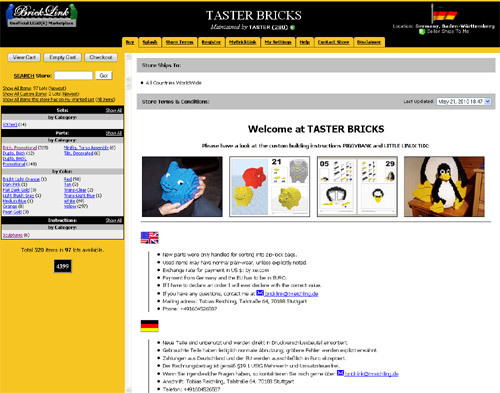 Now there is also my own Lego Store on the sales platform Bricklink: TASTER BRICKS. There are hundreds of individual Lego items to buy. For questions you can even contact me via e-mail. Furthermore my Bricklink Store contains a continually updated list of all promotional bricks, which I have for trading and selling!